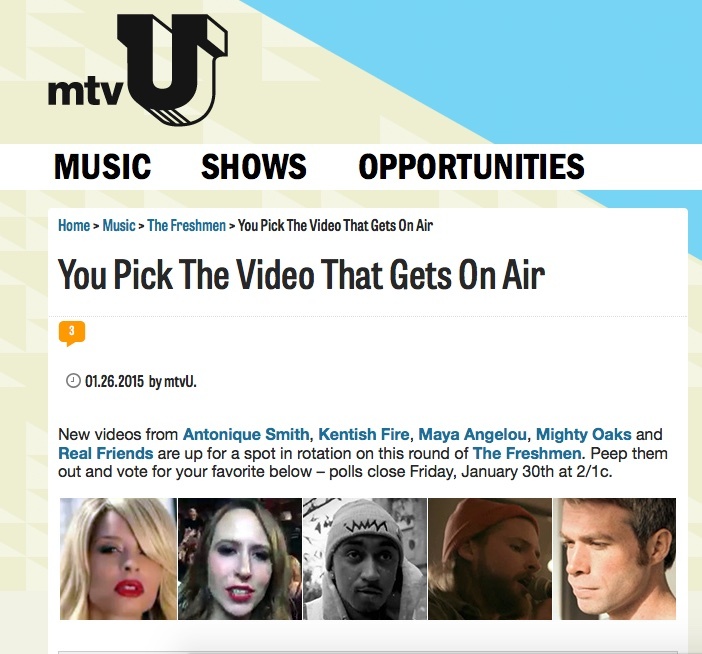 Kentish Fire Competing in This Week’s mtvU The Freshmen Competition! We’re stoked to announce that UK-based indie synth rockers Kentish Fire are competing in mtvU’s The Freshmen Competition this week with their music video for their ultra-catchy single “In Our Band”. If they win they’ll be added to regular rotation at mtvU!